In a hot market it’s easy to be blinded by the competition and succumb to the pressure to make an offer on a home before you’ve adequately assessed it. If you’re looking to buy a home this summer, use these four tips to uncover hidden flaws before you put your offer in. One of the most reliable ways to identify potential and existing problems within a property is to hire a professional home inspector to evaluate it. Home inspectors are trained to find issues that the average person may overlook, which can save you from putting in an offer on a money pit. 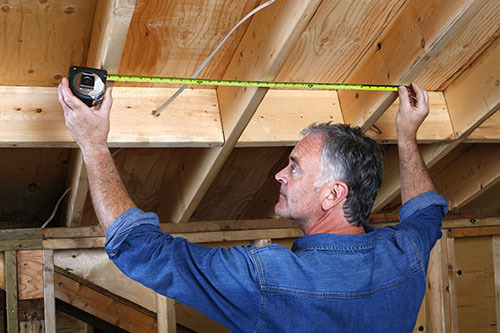 If you can’t afford to hire a home inspector, conduct a thorough home evaluation yourself. Ensure that the roof doesn’t have any significant damage or leaks, check window caulking for holes, and scan the basement thoroughly for asbestos and black mold. Within the house, pay special attention to the bathrooms for leaks around the tubs, showers, and toilets, as this may indicate leaky pipes which can be a costly fix. Likewise, check underneath the kitchen sink and around appliances for leaks, which may also be a sign of a more expensive fix. Even if you’ve hired a home inspector, always inspect the home yourself to the best of your ability. The more sets of eyes that look over the property the better, and you may find small problems that aren’t considered huge deficiencies to an inspector but may be deal breakers for you, such as peeling paint or cracked tile. If the home you are looking at is a condo, ask for copies of the strata minutes. Strata minutes serve as a record of any past issues that the building has had and will include notes on any upcoming costs that are already identified. Take these into consideration when estimating your condo fees and the value of the property. Real estate agents can not only take a lot off of your plate when it comes to buying a home, but they also possess specialized knowledge and experience in uncovering flaws in homes. They know what to look for! A real estate agent will take care of the property research for you, sifting through past strata notes or pointing out any deficiencies that they can identify when you are considering a home. With a trained professional on your team, you are more likely to find issues that could devalue the property. Ready to find a home that’s fit for you? Get in contact with your trusted real estate agent today.